Animal vector graphics in a cartoon visual style. Camel with one hump walking calmly with closed eyes. Free vector illustration for all your nature, animals, fauna, desert areas, wildlife, wilderness, wild animals and zoo projects. 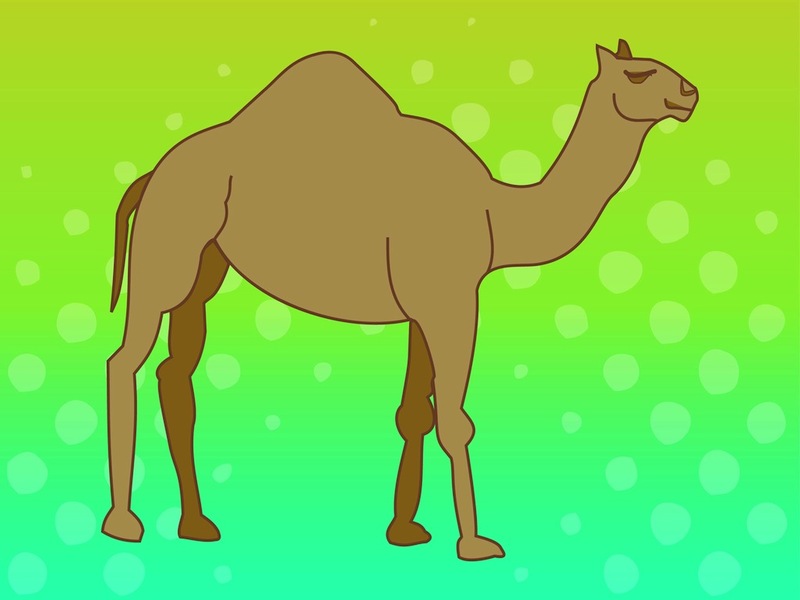 Download camel vector for posters, flyers, label decorations and decals. Tags: Animal, Calm, Desert, Egypt, Fauna, Hump, Nature, Safari, Wilderness.